THIS HOT AIR BALLOON JUMP will be the Star of the show! The Hot Air Balloon is made to creat excitment for all the fellow jumpers. It's colorful desing is perfect for all ages and boys or girls. The breathable top allows for shade and coolness during the summer months. This is also a great indoor unit. 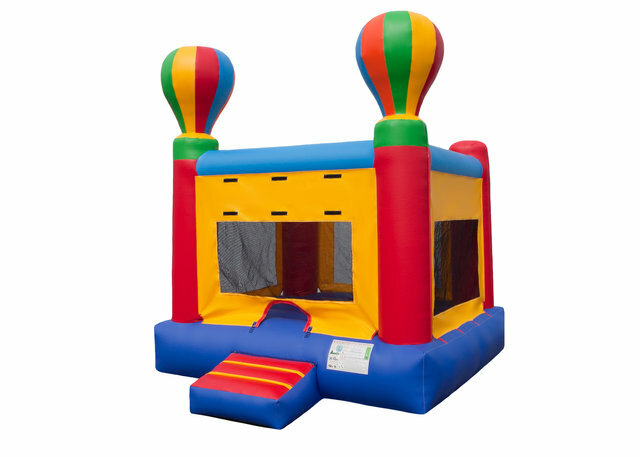 Perfect for all ages and has enough bouncing room for 5-6 kids at a time!